One of the great moments of the 2008 campaign—hopefully to be reenacted in the new Game Change movie—was when Sarah Palin publicly objected to the McCain campaign's decision to pull the plug on its Michigan effort. Palin, shifting into full going rogue mode, declared that this was a mistake, and vowed to press on single-handedly to win the Great Lakes State for the ticket, saying “I want to try!” Presumably, she thought that she exerted a decisive hockey-mom, moose-hunting appeal in the northern reaches of the mitten. But here's the funny thing: This campaign, the Republicans are in all likelihood going to nominate someone who actually grew up in Michigan and whose father was the governor of the state. And yet, the last couple weeks have made it all but certain that the Republican campaign to win Michigan's 16 electoral college votes ended in February —eight months before McCain folded up his tent four years ago. No matter what the outcome tonight, or how it's spun for the purposes of the 2012 GOP primaries, this is the real upshot of the 2012 Michigan primary: Mitt Romney's general election claim to his native state—a state that Republicans like to consider a presidential swing state, and one where Republicans swept into total control at the state level in 2010—now looks astonishingly weak. Barthwell is optimistic that Detroit is now finally, finally on the way back, but said that makes all the more jarring the conservative turn by Romney, who tends to speak of Detroit as a hopeless case, as he did in the ad this month that showed him driving around town and lamenting about “the people here in Detroit in distress.” Says Barthwell: “We're on the upswing. 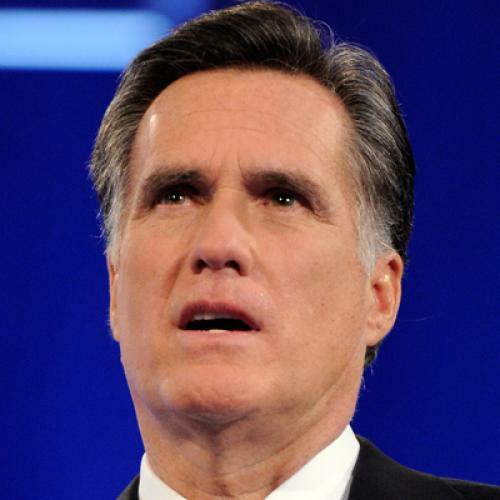 The biggest disappointment for the people of Detroit with regard to Mitt is that he kind of abandoned the auto industry. And they're all making money right now. They've done a very nice job of reinventing themselves.” And Romney was making things only worse by claiming credit for the companies' revival after having opposed the bailout, Barthwell said. “He was clearly against it when it went down. I don't know what he's saying now. It's confusing to me — maybe my brain isn't big enough,” he said. Barthwell is a Democrat, so unless he decided to vote for his old classmate for the heck of it, his vote didn't matter Tuesday. But he gives vent to some of Michigan's confusion over its onetime favorite son. And his assessment came before Romney's unfortunate moments this month—the telling emptiness of Ford Field, the union-bashing, the excruciating pandering to local pride (“the trees are the right height”, the line about Ann's “couple of Cadillacs”). Romney had a chance this month to reestablish a bond with the state of his youth, and instead made a very good case to his advisers that they should head no further north than Toledo, Ohio come this fall. Which leaves what as the battleground states where he can count on some extra edge this fall? Massachusetts is unreachable for him, and the Mormon strongholds Utah and Idaho are Republican mainstays. Meanwhile, as if to drive home the point, Obama chose today to deliver this barnburner to none other than the United Auto Workers. Yes, the real winner in Michigan's 2012 Republican primary was not on that ballot.